The global financial crisis hit G20 countries hard, causing them to cut back on infrastructure spending. Although the bulk of infrastructure investments are needed in emerging markets, the need for increased spending never went away, even in the United States, Canada, or Europe. A McKinsey report from February 2017 estimated the size of the investment gap for different regions, concluding that there is a collective $1.6 trillion investment gap to match growth demand. Of that total, they estimated North America has a gap of $580 billion. McKinsey released an updated paper in October 2017 which found that some countries have started to increase investments, but that the United States and Canada are still not investing enough. Closing the infrastructure gap will not be easy, the McKinsey report concludes, but it is possible. One direct way of helping to close a global infrastructure gap on a smaller scale is to increase your own firm’s productivity. Completing your construction projects better, faster, and with higher revenue means that you can grow and invest more in the future. Construction Dive surveyed and interviewed industry leaders and tech companies to get a sense of productivity-boosting technology aiding the construction industry. Smartphone ownership and Internet use have firmly rooted themselves in developed nations. Pew Research Center found that 77% of U.S. adults and 71% of Canadian adults own a smartphone. Consumer utility and leisure are one thing, they are even more vital on the construction site: A whooping 93% of contractors use smartphones on the jobsite, and nearly 65% use tablets. These devices allow for instant communication, ease-of-access to apps and documentation. Apps such as LoadDocs make the conversion of paper to digital increasingly seamless with computer vision. Mobility and flexibility: The new 9.4-inch iPad weighs just 1.03 pounds, although you will want a rugged protective case. Going paperless: With storage capacities up to 128GB, there’s multiple filing cabinets of paper in your pocket. Easier print reading: Font size too small on that printed paper? Fonts and other user interface sizings on mobile devices can be customized for the individual. Easy access to drawings, daily reports, quality control inspections, safety audits, emails: Both WiFi and Cellular (3G, LTE, etc) networking is possible, letting users connect to users and data off-site. “For a relatively low cost, we can fly a drone over a site, compile a database of pictures and process those pictures to create a 3D site model,” Jordan Olson, virtual design coordinator for Brasfield & Gorrie, replied. 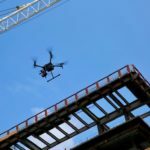 The survey reported that 57% of general contractor respondents are already using drones to speed up their work, or do work in ways they couldn’t do before. Companies such as 3D Robotics will meet with you to discuss how drones could be incorporated into your business, with different drones ranging from consumer-priced models costing a few hundred dollars and scaling up to heavier industrial/commercial models. The value the Microsoft HoloLens has brought to Chicago-based Pepper Construction for their concrete pre-pour processes have been highly valuable, an example of a new and relatively untested technology addressing a specific, time-consuming problem. Laser scanners are already utilized heavily at Pepper Construction to capture data elements in both concrete pre-pour and post-pour. Post-pour scans can analyze the flatness of the pour, and ensure that everything is up to designer standards. 3D laser scanners are becoming more common investments for construction firms to boost their error detection rates and avoid the perennial issue of mistakes when translating design to reality. 3D laser scanners like the Faro Focus product line can rapidly create indoor or outdoor 3D maps that end up saving thousands or tens of thousands of dollars per project. A wristband much like a FitBit that can measure worker temperature, heart rate, and electrical activity could monitor worker health. This could be even more helpful when working in very hot climates to prevent heat stress/stroke. Internet-of-Things enabled devices such as safety jackets to detect harmful chemicals, radiation, or noise levels, or shoes that can sense how much someone is carrying and point out dangerously heavy loads. Getting even more science fiction, technology continues to improve in the realm of powered exoskeleton suits. Although they still have substantial limitations, exoskeleton suits can allow workers to lift and handle extremely heavy loads in a much safer, less tiring fashion. With tens of thousands of construction technology startups out there, it’s both dizzying and hard to see which trends and products will stand the test of time. While things like wearables and other “IoT” applications have a lot to prove, the other devices on this list already have growing mountains of evidence that prove their financial and productivity benefits. If you enjoyed this content, please consider sharing via social media or providing your insights and thoughts in comments below. 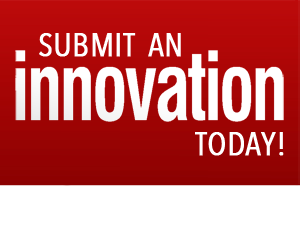 Please consider submitting your own innovation (click 'Submit an Innovation' at the top of this page). Profile yourself by sponsoring this innovation clearinghouse Click here for more information.